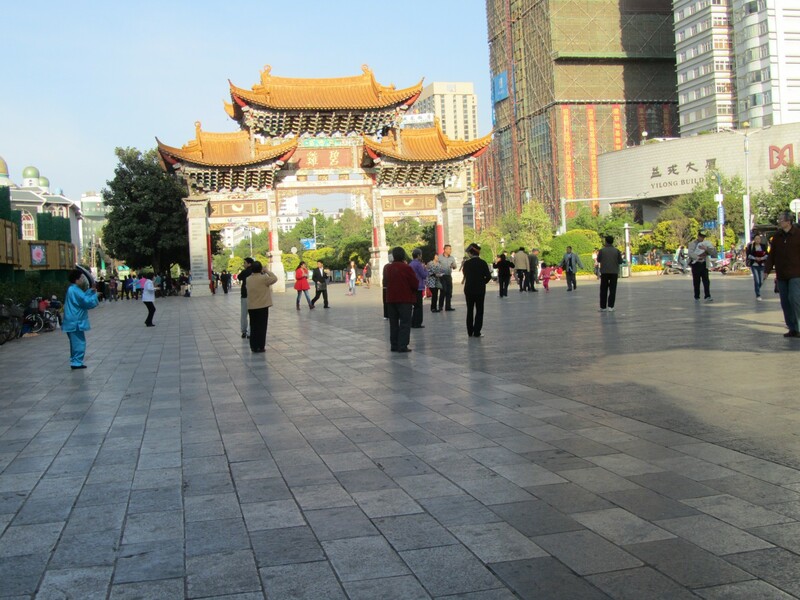 Early morning in Kunming. A crowd has gathered in the central square. Dipping, swooping, twisting their torsos with glacial measure, like rivers silently hollowing out a gorge. The conductor glistens in sapphire blue silk. Tai chi, while the dawn sun plays on the Tang-era pagodas. Kunming is not without the sound of horns, the white noise of all cities moving to the rhythms of capitalism, but here, stillness reigns sovereign. Gleaming in the distance, a golden crescent moon reminds the visitor of the Muslim traders who settled in Kunming, following the conquests of Kublai Kahn and his mongol warriors. In 1274, Sayyid Ajall was installed as governor of Kunming. Muslim rule in Yunnan would be short-lived, however the faith has persevered through the violent whims of dynastic rule. In 1855 the muslims of Kunming rebelled against their Qing dynasty rulers. The points of contention were land taxes and access to resources, in this case gold and silver mines in the mountains of Yunnan. By 1873 when Qing forces had reasserted supremacy over Yunnan, over a million muslims had died in Yunnan alone, while nearly eighteen million died in China proper. I recount these stories as a reminder that the crescent moon shimmering above Kunming is not a relic of some distant and forgotten past. Today, China’s rulers gaze with perplexity from the control center in Beijing, across the vast and motley expanse that falls under their jurisdiction. 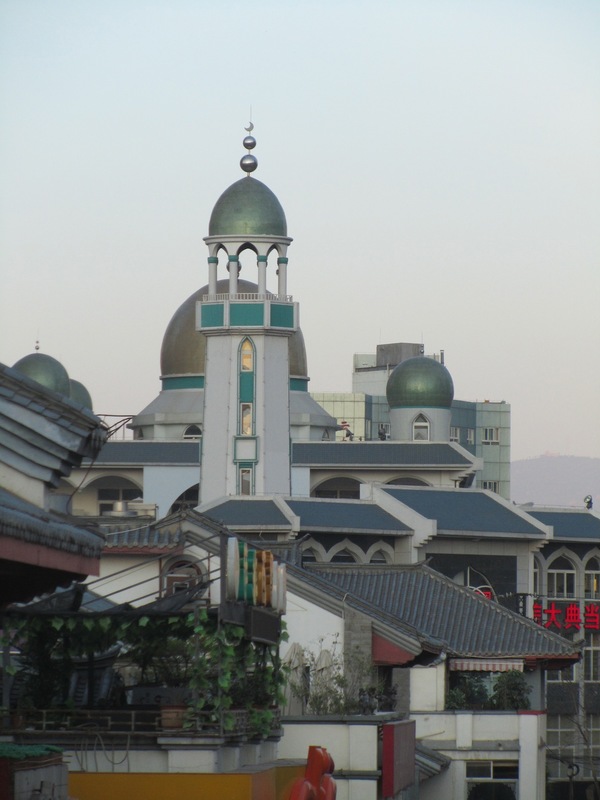 The muslims are one minority group among many in Yunnan–the Naaxi, Bai, and Yao being the most prolific– whose primary allegiance is other than the Chinese government. Why does the Chinese government care about keeping these potentially divisive regions under their control? In the case of Yunnan province, and Tibet, which borders Yunnan to the west, a primary reason is water. Water, that feeds the rivers that provide nourishment for virtually all of China, can be traced to the Himalayan mountain range. Thus whoever control the Himalayan regions of southwest China also controls the water supply. No wonder, then, that Lhasa (the capital of the Tibet) is the most heavily militarized region of China, and the city with the highest rate of prostitution.